An inexpensive alternative to owning your own horse. No commitment or extra costs. A few of our horses and several ponies are available for full lease year-round to experienced students who have demonstrated their ability to ride independently. Horses remain on our farm, and we pay all feed, regular vet and blacksmith costs, and supply the tack. Riders must catch, groom and tack up their own horses. Children under 14 who are leasing a horse/pony must be supervised by a parent at all times, and all riders may jump only during lessons unless they receive special permission. Full lease riders may ride for an hour up to four times per week. 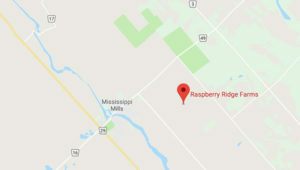 For persons who are not regular Raspberry Ridge Farms students, an evaluation lesson in the ring must be taken at a cost of $40.00. For the safety of horse and rider, riders who have not had formal riding lessons, or whom we deem not experienced enough, will NOT be eligible to ride unsupervised. These riders would be welcome to join into our lesson program. Our facilities include a new 115′ x 200′ professional outdoor all-weather sand ring ring, a 60′ sand round pen, stadium and a few cross-country jumps (under supervision only), and nearly 300 acres to ride on, with miles of trails. Leasing in July or August only will be DOUBLE the normal monthly lease. Horses/ponies leased on a signed 12-month basis will get ONE MONTH FREE! $250.00 is prepaid at the beginning of each month. Riding is offered on most horses and ponies. Monthly rate is only for one rider. $95.00 is prepaid at the beginning of each month.